The Quick Plane | Just Shooting Memories! I took the family to the U.S. Space and Rocket Center on Saturday. It was a great adventure but very tiresome for a day trip. It was a dream of mine when I was smaller to go to Space Camp there, but that never came to fruition. I was glad to finally make it to the center. When you pull into the parking lot, you are greeted with the massive view of a Saturn V rocket sitting in front of the building. The length of the shadow which it throws at 9 A.M. is just amazing. There was a lot to see there, but not as much as I would have liked. 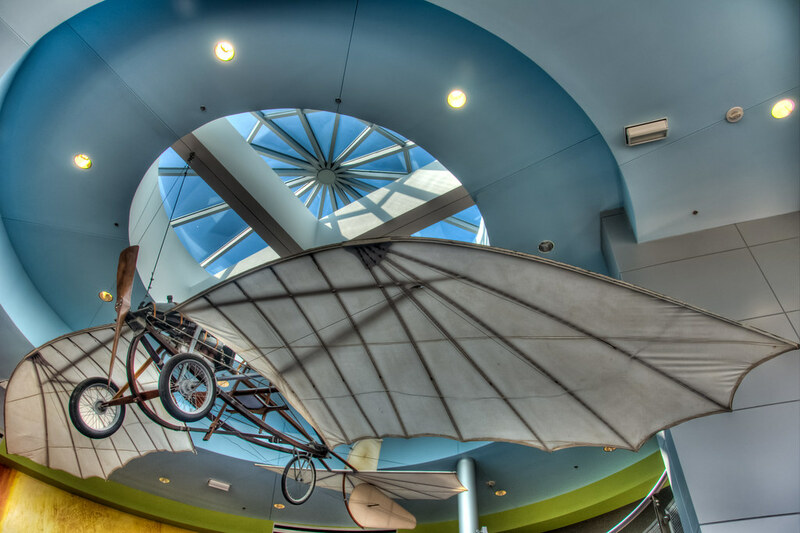 When you enter the front of the Davidson Center for Space Exploration, you are greeted by the Quick Plane. This plane was made by William Quick and it is hard to believe this plane was the competition to the Wright Brothers. To me, it looks so much more advanced. Where is the U.S. Space and Rocket Center? It sounds like something I must go and see. NASA in Houston has a Saturn V, but it’s on it’s side under a canopy, so it’s not the same as seeing it vertically. The U.S. Space and Rocket Center is in Huntsville, Alabama. About a three hour drive from home. I would recommend it if you are in the area. However, a trip just for it may not be the best. It is pretty cool, but there is not that much there. Then on the other hand, if you have ever had any desire to attend space camp, maybe as a chaperone would be a good trip or one of the adult programs.